When Middletown and Mechanicstown families are in the market for a new minivan, they’re looking for space, safety, and plenty of features to keep people comfortable. 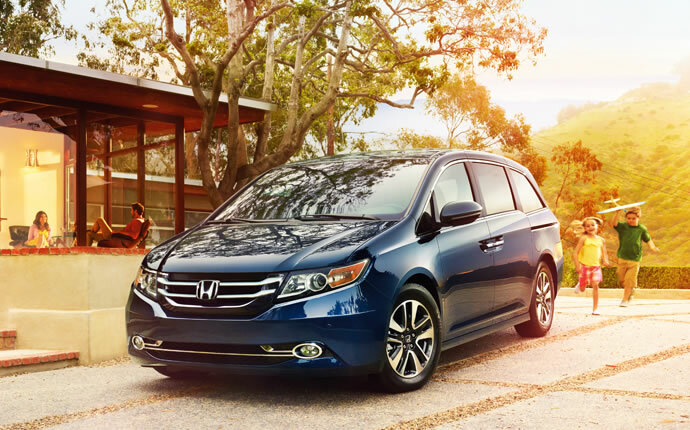 The 2015 Honda Odyssey delivers, but how does it compare to a possible competitor like the 2015 Nissan Quest? LX: Starting at $28,975,* the entry-level mode boasts Bluetooth connectivity, and even a cutting edge SMS Text Message Function. EX: Starting at $32,275,* the EX sits commandingly on 17-inch alloy wheels and includes a Honda LaneWatch system for confident driving. EX-L: Starting at $35,775,* the EX-L is your own private sanctuary, with a perforated leather-wrapped steering wheel to sooth your hands, and ten-way power driver’s seat in which to luxuriate. Touring: Starting $42,030,* the Touring opens up your world with a one-touch Power Moonroof. Touring Elite: Starting at $44,600,* this model includes a DVD system comparable to the Nissan’s as well as a 650-W Premium Audio System with 12 Speakers. S: Starting at $26,530, the S features handy second- and third-row climate controls to make sure the interior doesn’t become too stifling. SV: Starting at $30,280, the SV includes a Bluetooth handsfree system, which can be controlled via the steering wheel. SL: Starting at $34,060, the SL provides drivers with a power liftgate to improve access to the rear. Platinum: Starting at $43,180, the premium 2015 Quest trim incorporates a DVD entertainment system. The 2015 Quest has been fitted with a 3.5L DOHC engine, which provides a bit more horsepower by sacrificing torque. The latter is preferable for larger vehicles, as proven by the Quest’s lower efficiency rating of 27 mpg on the highway, paired with 19 mpg in the city. Minivan cabins are all about space, and both vehicles enjoy huge interiors that allow all seven passengers plenty of leg, head, hip, and shoulder room to stay relaxed during even the longest of journeys. They also include quick and easy seat-stowing technology, which allows families to reduce passenger capacity in favor of greater cargo space. However, the Odyssey distributes that space more efficiency than the Quest, with the Nissan only boasting 63.6 cubic feet of storage behind the second row, in stark comparison to the generous 93.1 cubic feet in the Honda. Nissan has also offered features more sparingly. Bluetooth connectivity — which is included as standard in all Odyssey trims — is not available with entry-level Quest models despite its widespread use. 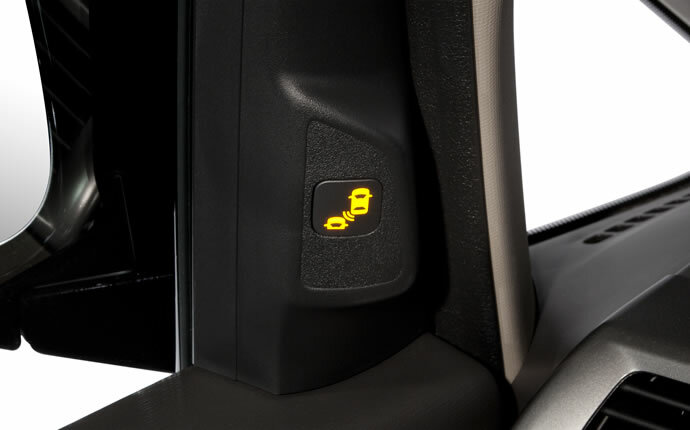 Similarly, the Odyssey uses a driver’s seat with eight-way power adjustment as standard, while the first two trim levels of the Quest only use a six-way power option. That difference really makes itself felt during long journeys, so make sure you receive the level of comfort you deserve. 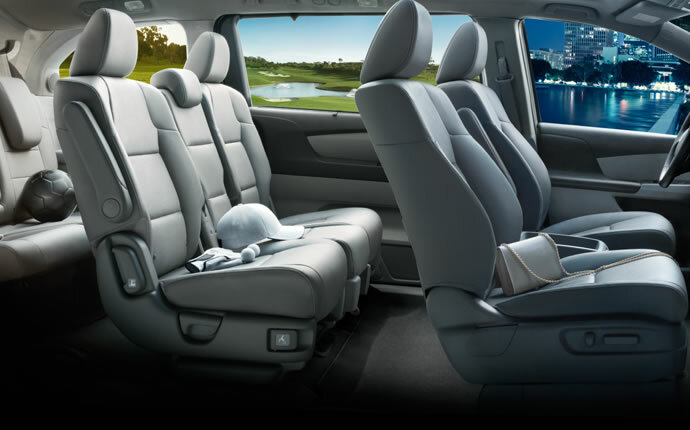 However, the 2015 Odyssey also benefits from Honda’s exclusive Advanced Compatibility Engineering (ACE) body design. ACE is the product of years of testing and research, and uses high-intensity steel and a dense structural network to distribute impact force away from passengers. The 2015 Odyssey and 2015 Quest each provide crash-mitigation features, but Honda’s bodywork also provides exceptional protection if a collision should ever occur. It’s what your family deserves. The 2015 Honda Odyssey is a minivan that easily rises above competitors such as the 2015 Nissan Quest. To take a test drive near Mechanicstown, NY today, simply contact Middletown Honda. * MSRP excluding tax, license, registration, $880.00 destination charge and options. Dealer prices may vary.